© GREG BAKER/AFP/Getty Images A man stands in a room in a house church in Puyang in China's central Henan province on Aug. 13, 2018. The services at the Zion Church will be different from usual this Sunday. A lot different. Instead of having 1,300 or so congregants pack into their usual space in northern Beijing, the members of the church will walk the streets in small groups, listening to a downloaded sermon on their cellphones. Pastor Jin Mingri was forced to disseminate his sermon this way after the Chinese authorities shut down his church earlier this week, declaring it illegal. All of the five officially tolerated religions by Chinese leaders — Buddhism, Catholicism, Daoism, Islam and Protestantism — are now experiencing draconian treatment from the government of President Xi Jinping, who has stoked nationalism and promoted loyalty to the Communist Party in ways not seen in decades. Some crackdowns have been going on for years. In the western region of Xinjiang, home to a Uighur Muslim population of 13 million people, the Chinese government has imposed increasing pressures against what it calls the “ideological virus” of Islam. Muslims are subjected to heightened religious restrictions and mass surveillance, Human Rights Watch said in a 117-page report released this week. The million of so Muslims held in mass detention centers suffer forced political indoctrination and mistreatment including torture, said the report and other accounts. Elsewhere, Buddhist and Daoist authorities have been banned from building large religious statues or making any new commercial investments. Christianity has come under new scrutiny since Xi’s government introduced new religious regulations titled “Principles for Promoting the Chinese Christianity in China for the Next Five Years” in March. This has brought new tensions to a decades-old standoff between the Vatican and the Communist Party, which allows only state-authorized Catholic churchs and appoints its own bishops. Protestant churches find themselves increasingly in the authorities’ sights. Numerous “house churches,” which operate independently of the state-controlled churches, from Guangdong in the south to Heilongjiang in the north have been shut down. Xi appeared to be waging a campaign against religion because he was concerned about ideological rivalry, said Karrie Koesel, a University of Notre Dame expert on religion in China. The problems started in March for the Zion Church, which had operated in China since 2007 and had nine locations, with about 1,600 members at its Beijing headquarters alone. The government authorities wanted the church to install 24 closed-circuit cameras. Jin objected, citing the right of his congregation to worship in private. Then the authorities starting peeling off the church’s followers at home or work one by one, putting pressure on them to stop attending the church. Some had their children ejected from school, some had their company accounts inspected, some lost their jobs, Jin said. About 400 people left the church as a result. Last Sunday, the authorities forcibly closed it. 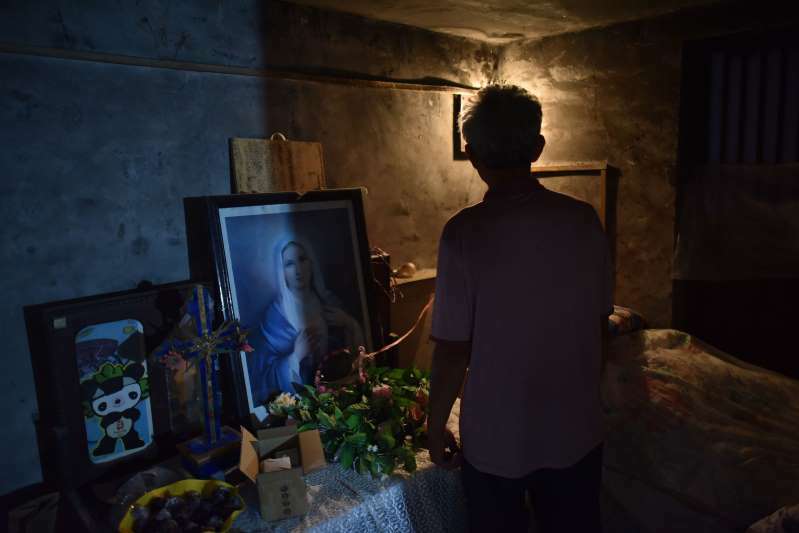 Authorities in the Beijing district of Chaoyang, where the church is located, said the church had broken the law by organizing illegal events and that its “illegal promotional material” had been confiscated. The church is now “legally banned,” according to a public notice posted in the church’s entrance. This Sunday, instead of holding the usual five services, Jin hopes his parishioners will listen to this week’s sermon on their phones. Even with this action, Jin and his congregants are potentially setting themselves up for another confrontation.